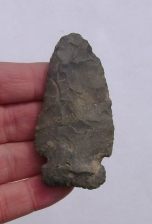 This artifact is from Adams County Ill. It measures 3 1/4". It is made from Burlington material. Classic.